Guess what Victorian public dentistry got? The Victorian Coalition Government has increased health spending to $13.68 billion in the 2012-13 State Budget, Health Minister David Davis has announced, which includes an extra $21 million for public dental services. The Government had targeted $188.4 million for dental services for 2012-13 compared to $167.1 million for this financial year. 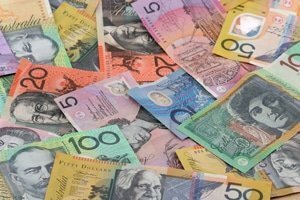 The Australian Dental Association Victorian Branch welcomed the increase in funding for public dental services announced in the State Budget. Branch President Associate Professor Matthew Hopcraft said that the 11.3 per cent increase was most welcome, especially under the difficult financial position in which the Budget was framed. The Budget papers say that the target is higher because it reflects an increase in Commonwealth Government externally sourced revenue, indexation and an updated cost allocation of depreciation and capital asset charges. Mr Davis said, “The delivery of health services has been hampered by the Commonwealth’s decision to pull vital funding. The funding we have provided in this year’s Budget is $1.3 billion more than the funding provided for health in the last year of the former government. “We cannot ignore the reality that under the National Partnership Agreement on Improving Hospital Services, the Commonwealth Government funded increased activity in emergency departments and elective surgery, only to let this funding lapse, resulting in a $50 million reduction in 2012-13. This is in addition to a loss of $6.1 billion in GST revenue since we came to office. A/Prof Hopcraft said all eyes would now be on next week’s Federal Budget and what it would contribute to oral care, especially given the strong support—backed by the ADAVB—for greater funding for public dental services.